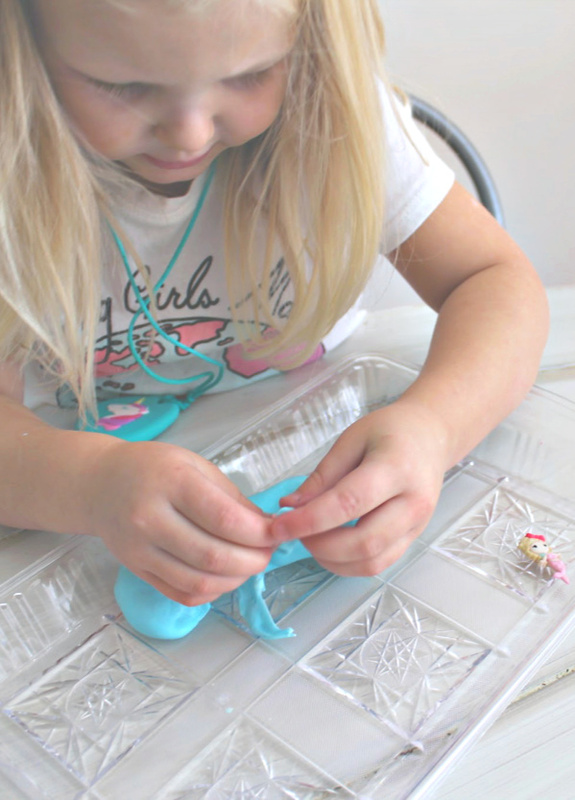 Easy recipe to make your own Therapy Putty! 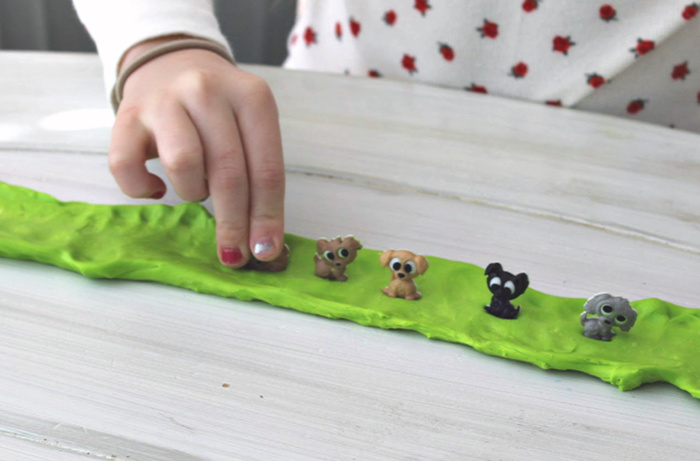 The kids will love this homemade fidget putty just for them. We love all sorts of homemade putty and sensory dough. 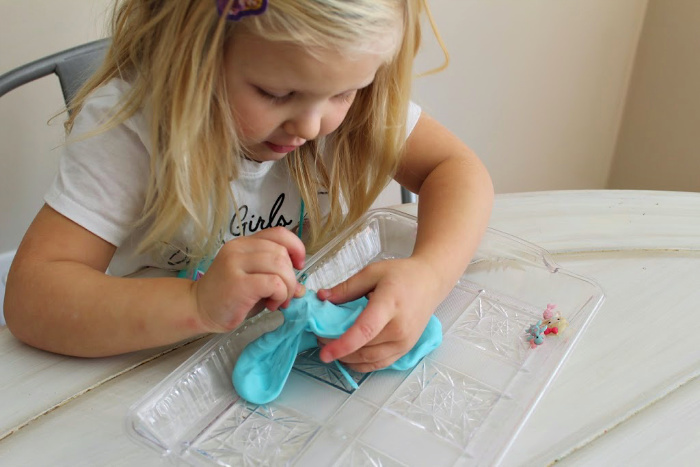 The fun that comes with playing in a bin of snow dough, floam, or slime is unmatched – especially to a sensory kid! When my daughter visits the OT, one of her favorite activities is to play with a tin of Discovery Putty you can find online. We love all the fun themes that they have to choose from. My daughter doesn’t know it but from one 10 minutes of playing with her therapy putty provides proprioceptive input, pressure to her joints (it’s REALLY tough to pull that putty apart!) and fine motor work while she digs through to find the little pieces and characters. 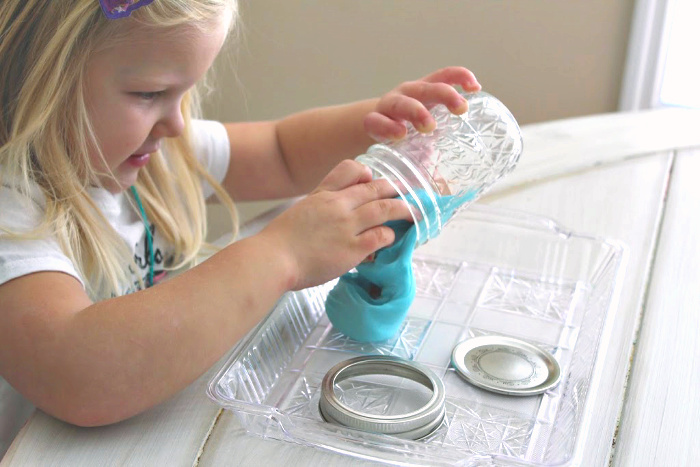 There are so many uses for therapy putty with kids of all ages! They can work on building those fine motor muscles in their fingers, use it as a fidget putty in their hands while they are needing to be quiet and focused, or as a stress putty to provide input and squish and pull when anxiety arises. We’ve used therapy putty to practice pincer grasp and cutting too! As much as I LOVE the variety of Discovery Putty you can find online – it is a bit pricey, especially if you want a few different sets. 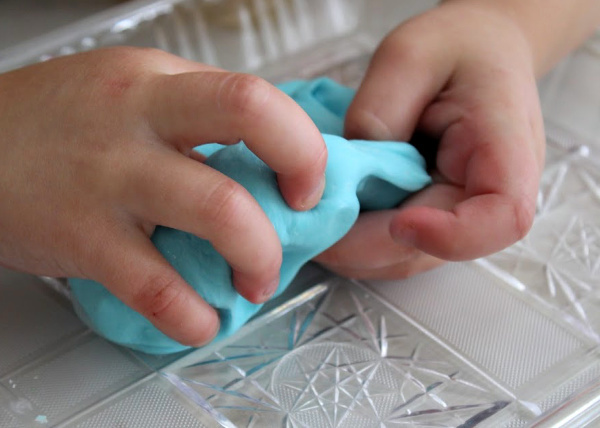 And, even though we always make sure to wash and sanitize our hands before playing with our therapy putty, children are germy and eventually the kids putty will get dirty and need to be thrown out. Since we make most of our other sensory dough here at home I decided to make our own therapy putty as well! With this DIY therapy putty recipe you can make and color combination you want and add a variety of characters to it for different themes. The characters we use to discover in our therapy putty are actually buttons! Check out your local fabric or craft store to see what fun sets they have that might interest your child and choose a color to match. We ended up making three different versions of our DIY therapy putty to keep here at the house; Blue Mermaid Putty, Green Puppy Putty, and Purple Pony Putty! And the kids are so happy to have their own jars of therapy putty at there disposal to use when they need it. Start by emptying the contents of your bottle of school glue into a glass bowl. Add baking soda and mix thoroughly. Add a drop of gel food color and mix again until combined. If you are adding glitter to your therapy putty, you’ll want to do that now. Mix 1/2 cup of corn starch into your glue mixture and then add your contact lens solution. Stir until it begins to separate from the sides of the bowl and stick together. At this point you may need to add a little more corn starch if your mixture is still sticky. Knead your therapy putty together with your hands until it is all combined and is no longer sticky. I like to store our putty along with the character buttons in small glass jars. They are air tight and make it easy to store. Pull your putty out and encourage your child to find all of the characters inside. Have the child use their pincer grasp to pinch off peices of putty a bit at a time.